The late Wingu Tingima was born in the 1920s at Nyumum, a kapi tujukula (rock hole) near Kuru Ala, near the tri-state board of Western Australia, the Northern Territory and South Australia. Kuru Ala is an important Kungkarrakalpa or Minyma Tjuta (seven sister) Tjukurrpa site. Kungkarrakalpa is a defining tjukurrpa across the Anangu Pitjantjatjara Yankunytjatjara (APY) Lands, and beyond into the wider desert region. 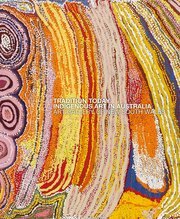 Country is marked and tempered by this definitive tjukurrpa, which involves the relentless pursuit and engagement of seven sisters by a wati kula-kula (lustful old man) called Nyiru who, against traditional law, wanted to take one of the sisters as his wife. Travelling across the desert, the sisters stopped at Kuru Ala, where Nyiru turned himself into a wayanu (quandong) tree. Unsuspecting, the sisters collected the fruit to eat. Realising the wayanu was, in fact, a Nyiru trick, they fled to a cave. This epic tjukurrpa saw the sisters eventually fleeing into the sky to become the star constellation known as the Pleiades. Growing up in her country, Tingima stayed strongly associated with her birth site, and maintained a deep affinity to Kuru Ala and Kungkarrakalpa throughout her acclaimed practice. Along with being instructed in her law, tjukurrpa and inma (ceremonial songs and dance) by her mother and aunties, Tingima also learnt carving and the traditional art of spinning hair string to weave ceremonial hair belts and manguri (head rings). Tingima was 13 or 14 years old when her family walked to the Presbyterian mission of Ernabella. At the mission, Tingima later met her husband and started her own family. Along with other Anangu women, Tingima worked at the local art centre, Ernabella Arts. They translated traditional skills of spinning hair to spinning local sheep wool, knitting and crochet – defining practices of the art centre in the early days. Widowed, Tingima moved west to Irrunytju (Wingellina) in Western Australia, closer to her country. Here she was instrumental in the establishment of Irrunytju Arts in 2001, but she eventually moved to the small community of Nyapari at the base of the Mann Ranges in South Australia. Together with a group of senior Anangu artists, including Jimmy Baker, Ginger Wikilyiri, and the late Eileen Yaritja Stevens, Tingima established Tjungu Palya (meaning ‘good together’) art centre in 2005. Since its establishment, Tjungu Palya has become recognised for its strength, leadership, and each artist’s distinctive, individual style, with artists like Tingima leading the movement. Her paintings are expressive eruptions of country, anchored within a warm palette of reds, yellows, pinks and cream. Underpinned by feminine linear structures, which reference inma body painting and hair-string belts, and covered in a textured bloom of dots, her work echoes her country.